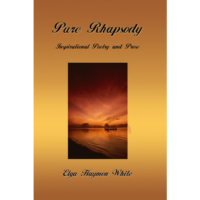 This Holiday Season presents a ‘Special Gift’ – – Elga Haymon White’s original book of poetry – – Pure Rhapsody was produced into perfect treats. Carry them in a purse or a briefcase! 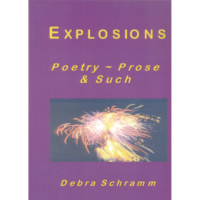 Each ‘wee, little book’ has pages of elegant, heartfelt, meaningful words. They etch forever in one’s mind. 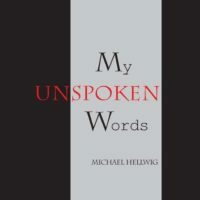 These three printed books available at Story-e-Books.com are $11.95 each. $29.95 for the set of three. 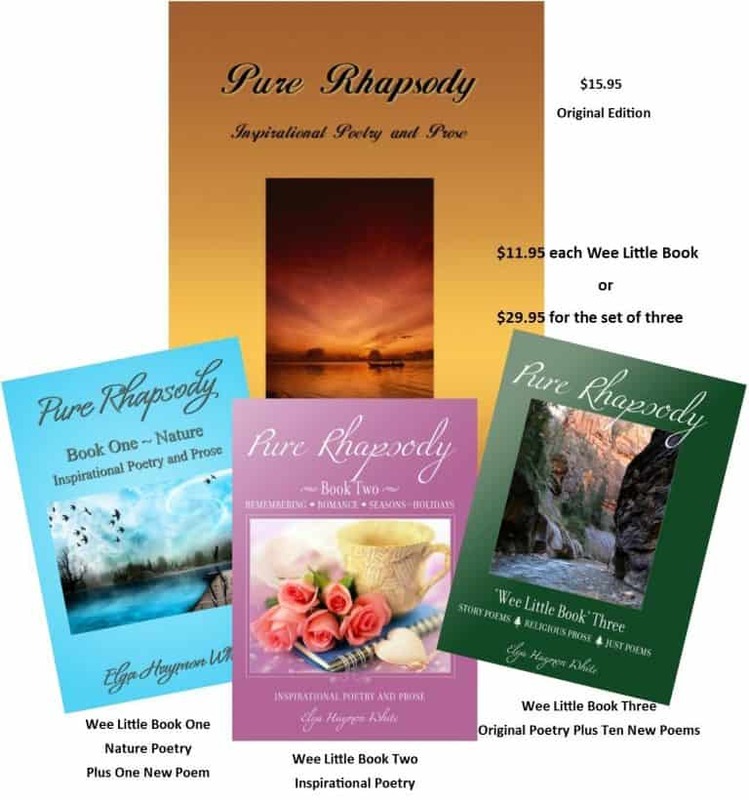 The original book, Pure Rhapsody, is a sensation and sells for $15.95. Grab a copy of all four prints – – $39.95 until December 25th only!! 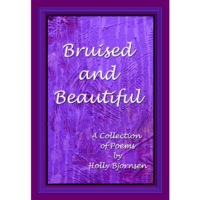 Visit: https://story-e-books.com/?s=pure+rhapsody&post_type=product.